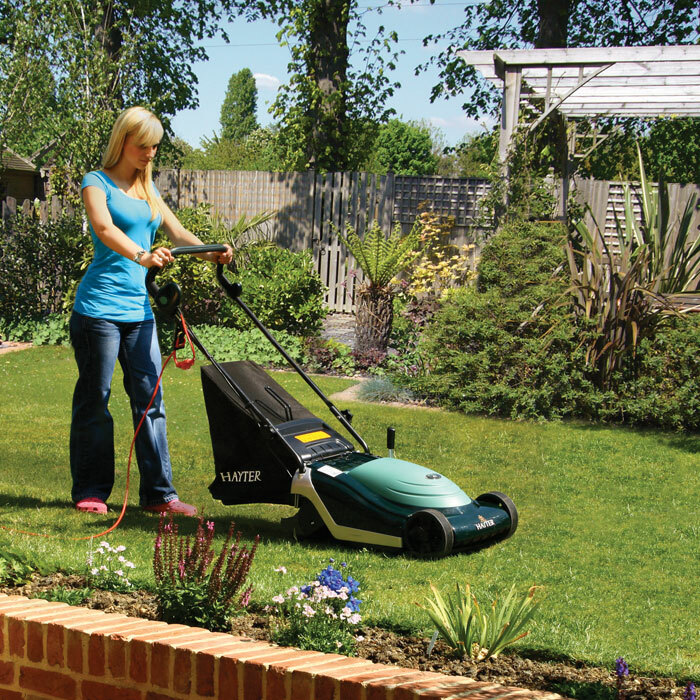 The Hayter Spirit 41 electric rear roller push lawn mower is compact and sylish and is lighter than the petrol models. It has great manoeuvrability and will leave a neat cut and a fine striped finish. It has 7 cut height adjustments which are adjusted by a single counterbalanced lever. 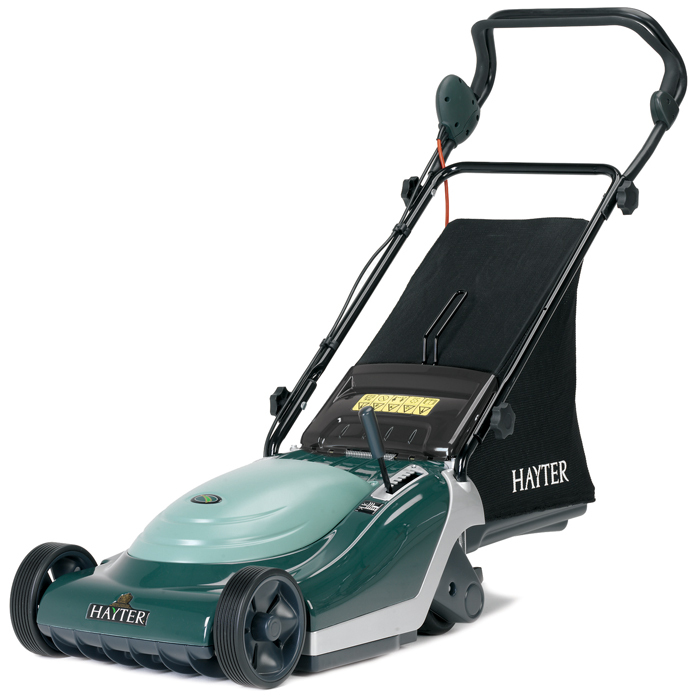 The Hayter Spirit can be used with the grassbag or without the grassbag as a rear discharge mower. It has a high impact ABS polymer underdeck for improved collection and reduced noise. The Hayter Spirit 41 has a unique aluminium and plastic constuction, the aluminium forming a strong light weight skeleton chassis. The 1500 watt long life motor is produced for Hayter by ATB the modern motor design and manufacturing market leader, giving a quiet and smoth performance. Full width, ribbed Rear Roller, for improved performance and striped finish. Handlebars fold, requiring storage space. Mains electric powered mower with a unique strong aluminium and ABS polymer construction. Powerful 1500W ATB electric motor for quiet, smooth operation. 7 height of cut settings between 13 - 65mm, controlled by a single counter-balanced lever for easy adjustment. Front fins for improved cut quality and grass collection. Can be used without grassbag as a rear-discharge mower. Single button push and go with comfortable full width OPC handlebar controls. High impact resistant ABS polymer cutterdeck with strong aluminium skeleton chassis. 55 Litre fabric grassbag which can be lifted through the handlebars for easy emptying.